A crime scene investigator is, more frequently than not, a member of law enforcement who is accountable for recognizing, managing, preserving, and packaging physical evidence at the scene of a crime. Although it is usually believed that crime scene detectives are the experts conducting experiments on the physical evidence, those places, in fact, are held for forensic scientists and other forensic professionals. The Television series CSI shows all aspects of the professions, a Crime scene investigator will attend at the scene of the crime or process and investigate other scenes which may the crime may have relevance to. A crime scene investigator does not spend his time in a lab. Investigators Work with law enforcement to secure the crime scene and to limit the corruption of evidence. Crime scene investigators identify and mark the areas of the crime scene. Crime scene Investigators refer to detailed reports to track the data using evidence and use the evidence to testify in court. A crime scene investigator is called upon to utilize scientific data and technical expertise to evaluate the crime scene without destroying evidence. Crime scene investigators form a plan for collecting physical evidence and ensure that all documents are handled accordingly. At a scene, the case investigator and crime scene personnel work together to: determine and secure areas that may include evidence; examine and document the scene; collect physical evidence; and preserve, package and submit the evidence to the laboratory for analysis. With these key pieces of evidence, the investigator can attempt to reconstruct the elements of the crime. This course is intended for people already employed in this field, or who wish to know more about this field. 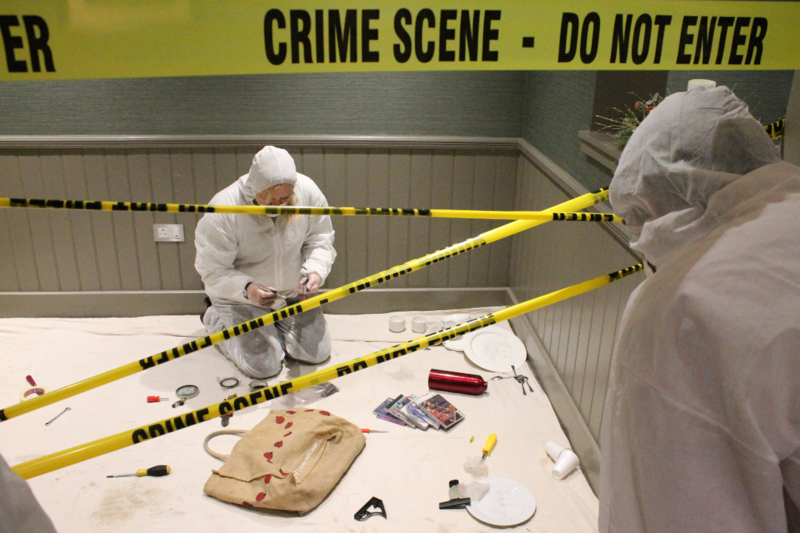 Learn the importance of physical evidence in solving crimes, elements of fingerprinting, how to perform a gunshot residue test, evidence collecting and processing methods, and the use of forensic light source technology. Emphasis will be placed on the importance of effective communication and interpersonal skills, professional development, strong academic skills, problem solving, safety, and the use of technology. Grade 10 (Std. 8) or an equivalent, or relevant work experience (2 years). The course is designed to equip you with the tools and skills to bring people together for a successful events. You will learn the following skills and is SABPP CPD Certified.